Mohandas Karamchand Gandhi (/ˈɡɑːndi, ˈɡæn-/; Hindustani: [ˈmoːɦənd̪aːs ˈkərəmtʃənd̪ ˈɡaːnd̪ʱi] ( listen); 2 October 1869 – 30 January 1948) was the leader of the Indian independence movement in British-ruled India. Employing nonviolent civil disobedience, Gandhi led India to independence and inspired movements for civil rights and freedom across the world. 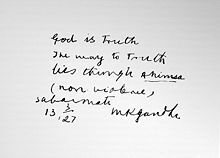 The honorific Mahatma (Sanskrit: "high-souled", "venerable")—applied to him first in 1914 in South Africa—is now used worldwide. In India, he is also called Bapu (Gujarati: endearment for "father", "papa") and Gandhiji. He is unofficially called the Father of the Nation. Gandhi's vision of an independent India based on religious pluralism, however, was challenged in the early 1940s by a new Muslim nationalism which was demanding a separate Muslim homeland carved out of India. Eventually, in August 1947, Britain granted independence, but the British Indian Empire was partitioned into two dominions, a Hindu-majority India and Muslim-majority Pakistan. As many displaced Hindus, Muslims, and Sikhs made their way to their new lands, religious violence broke out, especially in the Punjab and Bengal. Eschewing the official celebration of independence in Delhi, Gandhi visited the affected areas, attempting to provide solace. In the months following, he undertook several fasts unto death to promote religious harmony. The last of these, undertaken on 12 January 1948 when he was 78, also had the indirect goal of pressuring India to pay out some cash assets owed to Pakistan. Some Indians thought Gandhi was too accommodating. Among them was Nathuram Godse, a Hindu nationalist, who assassinated Gandhi on 30 January 1948 by firing three bullets into his chest. During the Boer War, Gandhi volunteered in 1900 to form a group of stretcher-bearers as the Natal Indian Ambulance Corps. He wanted to disprove the British idea that Hindus were not fit for "manly" activities involving danger and exertion. Gandhi raised eleven hundred Indian volunteers. They were trained and medically certified to serve on the front lines. They were auxiliaries at the Battle of Colenso to a White volunteer ambulance corps; then at Spion Kop Gandhi and his bearers moved to the front line and had to carry wounded soldiers for miles to a field hospital because the terrain was too rough for the ambulances. Gandhi was pleased when someone said that European ambulance corpsmen could not make the trip under the heat without food or water. General Redvers Buller mentioned the courage of the Indians in his dispatch. Gandhi and thirty-seven other Indians received the Queen's South Africa Medal. 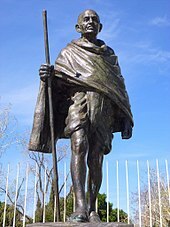 Gandhi focused his attention on Indians while in South Africa and opposed the idea that Indians should be treated at the same level as native Africans while in South Africa. He also stated that he believed "that the white race of South Africa should be the predominating race. 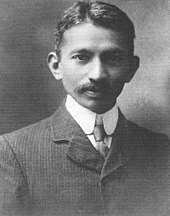 "After several incidents with Whites in South Africa, Gandhi began to change his thinking and apparently increased his interest in politics. White rule enforced strict segregation among all races and generated conflict between these communities. Bhana and Vahed argue that Gandhi, at first, shared racial notions prevalent of the times and that his experiences in jail sensitised him to the plight of South Africa's indigenous peoples. In 1919, Gandhi, with his weak position in Congress, decided to broaden his political base by increasing his appeal to Muslims. The opportunity came in the form of the Khilafat movement, a worldwide protest by Muslims against the collapsing status of the Caliph, the leader of the Suni branch of their religion. The Ottoman Empire had lost the First World War and was dismembered, as Muslims feared for the safety of the holy places and the prestige of their religion. Although Gandhi did not originate the All-India Muslim Conference,which directed the movement in India, he soon became its most prominent spokesman and attracted a strong base of Muslim support with local chapters in all Muslim centres in India. As a mark of solidarity with Indian Muslims he returned the medals that had been bestowed on him by the British government for his work in the Boer and Zulu Wars. He believed that the British government was not being honest in its dealings with Muslims on the Khilafat issue. His success made him India's first national leader with a multicultural base and facilitated his rise to power within Congress, which had previously been unable to influence many Indian Muslims. In 1920 Gandhi became a major leader in Congress. By the end of 1922 the Khilafat movement had collapsed. As a rule, Gandhi was opposed to the concept of partition as it contradicted his vision of religious unity.Concerning the partition of India to create Pakistan, while the Indian National Congress and Gandhi called for the British to quit India, the Muslim League passed a resolution for them to divide and quit, in 1943. Gandhi suggested an agreement which required the Congress and Muslim League to co-operate and attain independence under a provisional government, thereafter, the question of partition could be resolved by a plebiscite in the districts with a Muslim majority. 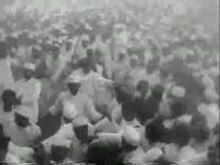 When Jinnah called for Direct Action, on 16 August 1946, Gandhi was infuriated and personally visited the most riot-prone areas to stop the massacres. He made strong efforts to unite the Indian Hindus, Muslims, and Christians and struggled for the emancipation of the "untouchables" in Hindu society. By Hindu tradition the ashes were to be spread on a river. Gandhi's ashes were poured into urns which were sent across India for memorial services. Most were immersed at the Sangam at Allahabad on 12 February 1948, but some were secretly taken away. In 1997, Tushar Gandhi immersed the contents of one urn, found in a bank vault and reclaimed through the courts, at the Sangam at Allahabad. Some of Gandhi's ashes were scattered at the source of the Nile River near Jinja, Uganda, and a memorial plaque marks the event. On 30 January 2008, the contents of another urn were immersed at Girgaum Chowpatty. 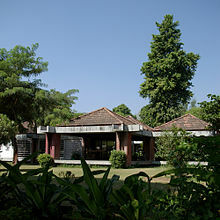 Another urn is at the palace of the Aga Khan in Pune(where Gandhi had been imprisoned from 1942 to 1944) and another in the Self-Realization Fellowship Lake Shrine in Los Angeles. Historian R.B. Cribb argues that Gandhi's thought evolved over time, with his early ideas becoming the core or scaffolding for his mature philosophy. In London he committed himself to truthfulness, temperance, chastity, and vegetarianism. His return to India to work as a lawyer was a failure, so he went to South Africa for a quarter century, where he absorbed ideas from many sources, most of them non-Indian. Gandhi grew up in an eclectic religious atmosphere and throughout his life searched for insights from many religious traditions. He was exposed to Jain ideas through his mother who was in contact with Jain monks. 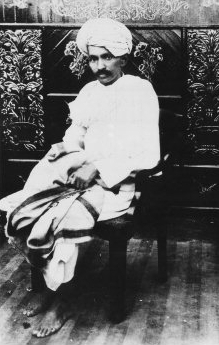 Themes from Jainism that Gandhi absorbed included asceticism; compassion for all forms of life; the importance of vows for self-discipline; vegetarianism; fasting for self-purification; mutual tolerance among people of different creeds; and "Anekantavada", the idea that all views of truth are partial, a doctrine that lies at the root of Satyagraha. He received much of his influence from Jainism particularly during his younger years. Gandhi's London experience provided a solid philosophical base focused on truthfulness, temperance, chastity, and vegetarianism. 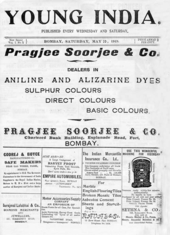 When he returned to India in 1891, his outlook was parochial and he could not make a living as a lawyer. This challenged his belief that practicality and morality necessarily coincided. By moving in 1893 to South Africa he found a solution to this problem and developed the central concepts of his mature philosophy. 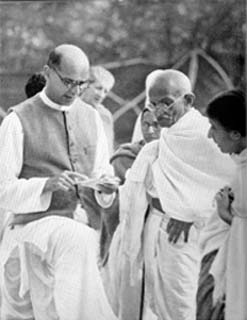 N. A. Toothi felt that Gandhi was influenced by the reforms and teachings of Swaminarayan, stating "Close parallels do exist in programs of social reform based on to nonviolence, truth-telling, cleanliness, temperance and upliftment of the masses. "Vallabhbhai Patel, who grew up in a Swaminarayan household was attracted to Gandhi due to this aspect of Gandhi's doctrine. In Modern Review, June 1930, Mahatma Gandhi writes about their first encounter in 1891 at Dr. P.J. Mehta's residence in Bombay. Gandhi had conversations through letters with Shrimad Rajchandra, a poet and Jain philosopher, when he was in South Africa. Gandhi noted his impression in his autobiography calling him his "guide and helper" and his "refuge… in moments of spiritual crisis". 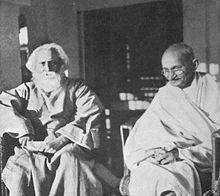 He had advised Gandhi to be patient and to study Hinduism deeply. Although Gandhi was not the originator of the principle of nonviolence, he was the first to apply it in the political field on a large scale. 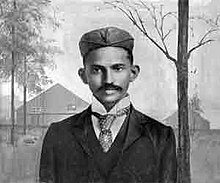 Gandhi credits Shrimad Rajchandra for showing him the path of ahimsa. 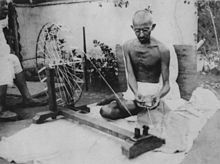 In Modern Review, June 1930, Gandhi writes, "Such was the man who captivated my heart in religious matters as no other man ever has till now." 'I have said elsewhere that in moulding my inner life Tolstoy and Ruskin vied with Kavi [the poet, a name by which Shrimad Rajchandra was known]. But Kavi's influence was undoubtedly deeper if only because I had come in closest personal touch with him. 'The concept of nonviolence (ahimsa and nonresistance has a long history in Indian religious thought. Gandhi explains his philosophy and way of life in his autobiography The Story of My Experiments with Truth. Gandhi realised later that this level of nonviolence required incredible faith and courage, which he believed everyone did not possess. He therefore advised that everyone need not keep to nonviolence, especially if it were used as a cover for cowardice, saying, "where there is only a choice between cowardice and violence, I would advise violence." In a post-war interview in 1946, he said, "Hitler killed five million Jews. It is the greatest crime of our time. But the Jews should have offered themselves to the butcher's knife. They should have thrown themselves into the sea from cliffs... It would have aroused the world and the people of Germany... As it is they succumbed anyway in their millions. "Gandhi believed this act of "collective suicide", in response to the Holocaust, "would have been heroism". This led to discussions concerning the persecution of the Jews in Germany and the emigration of Jews from Europe to Palestine, which Gandhi framed through the lens of Satyagraha. In 1937, Gandhi discussed Zionism with his close Jewish friend Hermann Kallenbach. He said that Zionism was not the right answer to the problems faced by Jews and instead recommended Satyagraha. Gandhi thought the Zionists in Palestine represented European imperialism and used violence to achieve their goals; he argued that "the Jews should disclaim any intention of realizing their aspiration under the protection of arms and should rely wholly on the goodwill of Arabs. No exception can possibly be taken to the natural desire of the Jews to found a home in Palestine. But they must wait for its fulfillment till Arab opinion is ripe for it." In 1938, Gandhi stated that his "sympathies are all with the Jews. I have known them intimately in South Africa. Some of them became life-long companions." Philosopher Martin Buber was highly critical of Gandhi's approach and in 1939 wrote an open letter to him on the subject. Gandhi reiterated his stance on the use of Satyagraha in Palestine in 1947. Stephen Hay argues that Gandhi looked into numerous religious and intellectual currents during his stay in London . He especially appreciated how the theosophical movement encouraged a religious eclecticism and an antipathy to atheism. Hay says the vegetarian movement had the greatest impact for it was Gandhi's point of entry into other reformist agendas of the time. The idea of vegetarianism is deeply ingrained in Hindu and Jain traditions in India, especially in his native Gujarat. 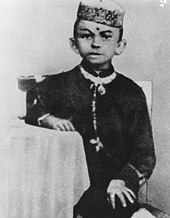 Gandhi was close to the chairman of the London Vegetarian Society, Dr. Josiah Oldfield, and corresponded with Henry Stephens Salt, a vegetarian campaigner. Gandhi became a strict vegetarian. He wrote the book The Moral Basis of Vegetarianism and wrote for the London Vegetarian Society's publication. Gandhi was somewhat of a food faddist. Gandhi was a prolific writer. One of Gandhi's earliest publications, Hind Swaraj, published in Gujarati in 1909, is recognised[by whom?] as the intellectual blueprint of India's independence movement. The book was translated into English the next year, with a copyright legend that read "No Rights Reserved". For decades he edited several newspapers including Harijan in Gujarati, in Hindi and in the English language; Indian Opinion while in South Africa and, Young India, in English, and Navajivan, a Gujarati monthly, on his return to India. Later, Navajivan was also published in Hindi. In addition, he wrote letters almost every day to individuals and newspapers. Gandhi influenced important leaders and political movements. Leaders of the civil rights movement in the United States, including Martin Luther King Jr., James Lawson, and James Bevel, drew from the writings of Gandhi in the development of their own theories about nonviolence. King said "Christ gave us the goals and Mahatma Gandhi the tactics." 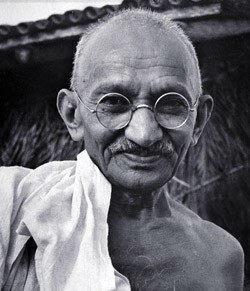 King sometimes referred to Gandhi as "the little brown saint." Anti-apartheid activist and former President of South Africa, Nelson Mandela, was inspired by Gandhi.Others include Khan Abdul Ghaffar Khan, Steve Biko, and Aung San Suu Kyi. Statue of Mahatma Gandhi at Parliament Square in London, 2015. Standing in front are British Prime Minister David Cameron, Indian P.M.Narendra Modi, and others. Indians widely describe Gandhi as the father of the nation. The title "The Father of the Nation" for Gandhi is not an official title and has not been officially accorded by Government of India. Origin of this title is traced back to a radio address (on Singapore radio) on 6 July 1944 by Subhash Chandra Bose where Bose addressed Gandhi as "The Father of the Nation". On 28 April 1947, Sarojini Naidu during a conference also referred Gandhi as "Father of the Nation".